I decided that I wanted to know how to learn Chinese in 3 months, and so, I traveled to Taipei, Taiwan, where they speak Chinese Mandarin. I arrived on the first day that I decided to start my mission to learn this language. My goal is to be able to speak enough Chinese in social situations that I can in English. I realize that this is a difficult task, and it is a given that I will make mistakes, but its my goal to be able to keep the flow of a conversation, without holding it up on my end or to the one I am speaking with. However, I realized that to fully function socially, I would also have to incorporate learning to read Chinese, as well. I decided this was also going to be a part of my mission on how to learn Chinese in a month. After all, even if I could speak fluidly, if I wasn’t able to read Chinese, then I wouldn’t be able to function in a lot of situations and I would be considered illiterate. Reading is considered to be harder than actually speaking though, and I knew this going in. Therefore, I decided that I was going to make it my priority to be able to read the basics like signs and menus. This would allow me to actively participate in most social situations, but I was determined to do better than that. Right after learning those items, I wanted to get where I can effortlessly recognize some of the most common symbols. I set a goal of 1,500, but this is still only about half of the symbols that the majority of people consider needed to be proficient and fluent. Therefore, I would still not be fluent in reading, but I would be able to deal with most social situations knowing that many symbols. I didn’t want to get sidetracked too far from my main objective, which was my spoken objective. Therefore, I decided that the most I needed to be able to do is read the headlines in a newspaper, anything beyond that would have taken too much time and focus away from that objective. After I started my mission, I got a lot of suggestions from people that made a lot of sense. Trying to learn 1,500 symbols was still very time consuming. Based on advice, I decided that learning 500 symbols would actually suffice for what I wanted to do. 1,500 symbols was still taking away way to much time from my original mission of how to learn Chinese in 3 months. So, I made the decision to start with the 500 symbols and judge how long they took and take it from there and see if I wanted to learn more. It is important to note that I wanted to learn traditional Chinese. Even though I was in Taiwan, they used traditional Chinese and not simplified language. Due to this, the reading portion of my mission was very difficult and more complicated than it would have been if I had decided to go with the simplified version. However, there is a plus side to learning traditional Chinese. 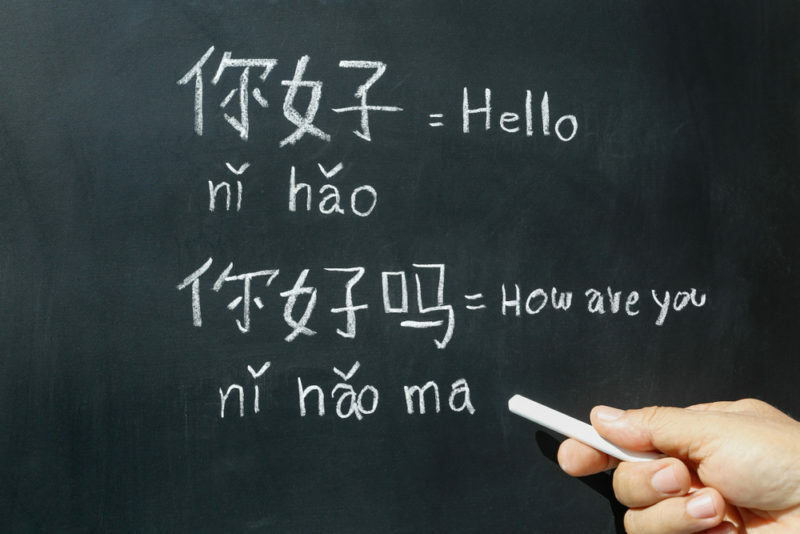 It will make learning both the simplified Chinese and Japanese a lot easier, in the long run. You may be asking why I chose to learn in Taiwan rather than mainland China? The answer to this question is quite simple. China is a communist country, and they have a lot of internet restrictions. This would not have been an issue, but I am a full-time blogger, and I am considered to be a loudmouth and very outspoken when it comes to the content that I write. There are ways that I could workaround these obstacles to still have access to the sites I needed, but that would open up a lot of annoyances. For one, it would be extremely inconvenient and time consuming. Plus, frankly, I would be openly breaking the law, which is never a smart thing to do. On top of all of that, I didn’t have to deal with the bureaucracy that I would have had to in order to get a three month visa for China, if I was ever even approved. Not to mention, starting with traditional Chinese would help me more in the long run for the reasons that I had already specified above. These were the rational reasons that I used to justify going to Taiwan instead of mainland China, but they weren’t the overall deciding factors. Personally, I had heard a lot of amazing things about the Taiwanese people, and through my travels, I had met a few Taiwanese people, and I wanted to learn more about their culture and country. So, that is the main reason I chose to go to Taiwan. However, after my three months, I did take two weeks after finishing my mission to go enjoy the mainland of China. A lot of people don’t understand that my language missions are not about reaching linguistic objectives. I do reach these objectives, while on my mission, but the real reasons behind these missions are purely social. Everything that I pushed myself to learn was to be able to socially interact with the Taiwanese people and to make long lasting deep friendships, without having to worry about limitations of only speaking with those that can speak good English like a lot of others do. The Speak from Day 1 & Language Hacking Guide package has a lot of excellent information in it, and I used all of the techniques that they discussed. However, I have found my own ways to help tackle some of the issues that I had learning that were specific to Chinese. I even made a few videos for fun to add to my blog and Speak from Day 1 series. Even on the first day, I had already found a lot of good material that I could use to help me learn at a faster pace. I want to thank you for following me on my journey, and I hope to successfully learn Chinese in 3 months. If you have any advice or tips that might help me in my mission, please put them in the comments section! I would love any advice that you guys can provide to help me reach my mission and goal!